Campaña para peatones y ciclistas. En inglés - Bicivilizados. Ciclismo urbano. Alegría entre tus piernas. 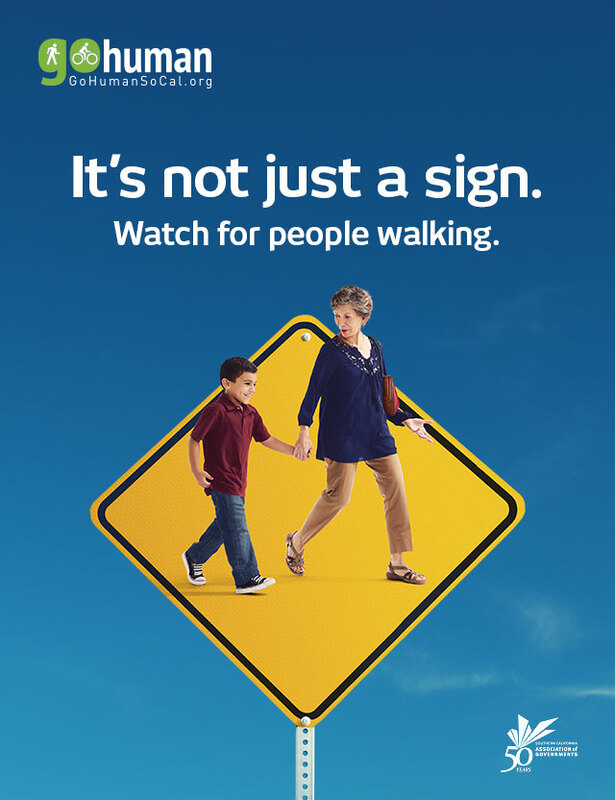 Beginning this week, you may notice billboards advertising the Go Human campaign. 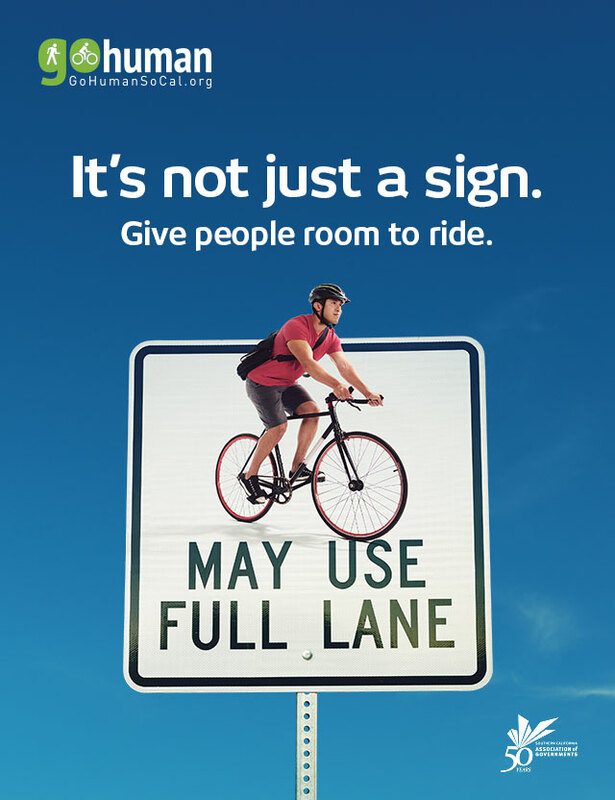 Go Human is a community outreach and advertising campaign with the goals of reducing traffic collisions in Southern California and encouraging people to walk and bike more. 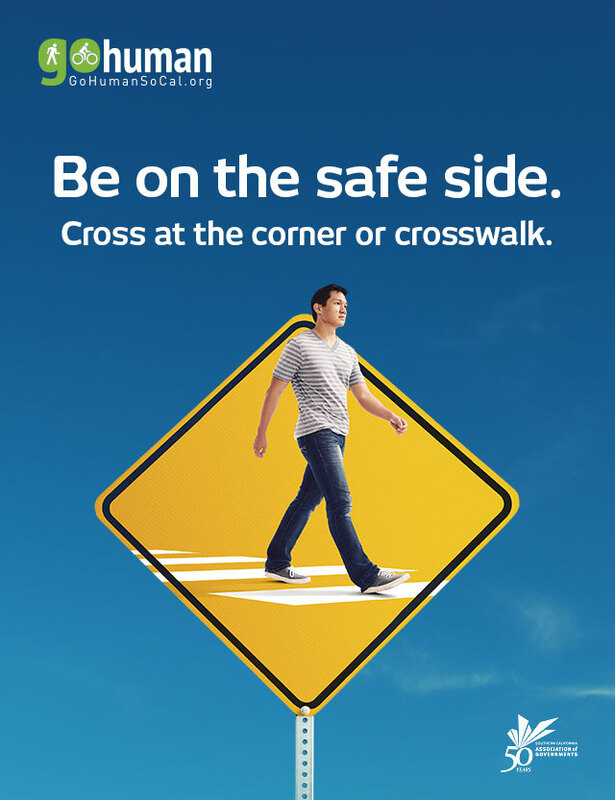 The campaign, launched by the Southern California Association of Governments (SCAG), hopes to create safer and healthier cities through education, advocacy, information sharing and events that help residents re-envision their neighborhoods.